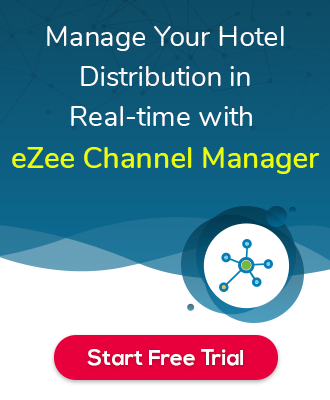 How Inclusion works in eZee Frontdesk? Check In & Check out: When you select post type as Check In & Check out, It will apply inclusion on check in and check out. >> This Inclusion will come into use when the guest is having the special request of the inclusion as from which date it should start and for how many numbers of days, then we can use this inclusion to satisfy the guest request. 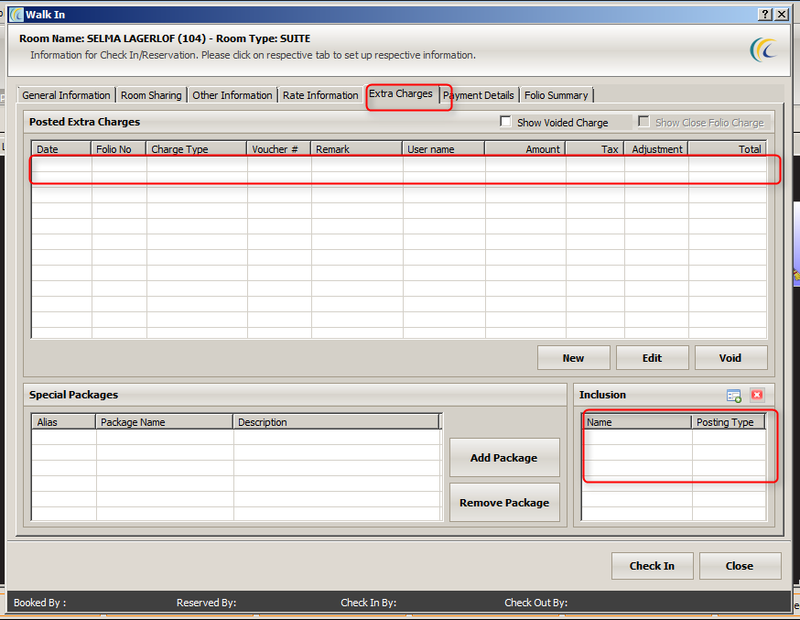 Note: Options you will not be able to see in the configuration when setup the extra charges as this is on request if the guest wants to apply that way. 2) Once you Click on Save Button it will ask for mapping to Room Types on which you want to apply that Inclusion as shown in below screenshot. 3) Now, How above configured Inclusion will work. 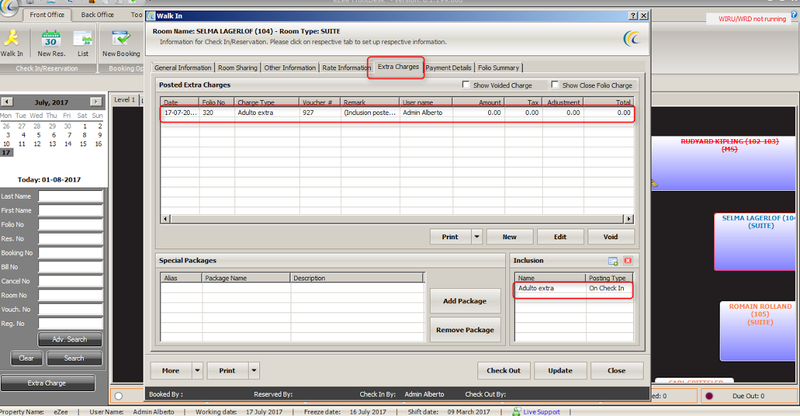 Refer below screenshot before Check In the Guest. Please refer below screenshot whereby when you check in guest it will show inclusion on check in as we have set inclusion on check-in. 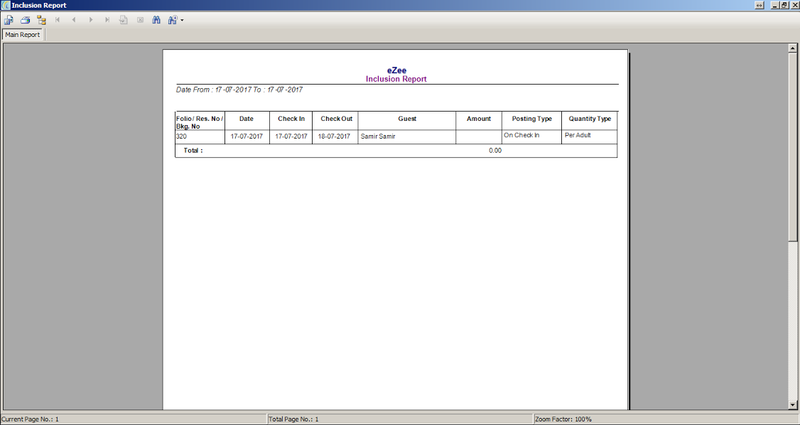 All inclusion will be showing in Inclusion Report.Please check below screenshot.